Convolutional neural networks are now capable of outperforming humans on some computer vision tasks, such as classifying images. That is, given a photograph of an object, answer the question as to which of 1,000 specific objects the photograph shows. A competition-winning model for this task is the VGG model by researchers at Oxford. What is important about this model, besides its capability of classifying objects in photographs, is that the model weights are freely available and can be loaded and used in your own models and applications. In this tutorial, you will discover the VGG convolutional neural network models for image classification. About the ImageNet dataset and competition and the VGG winning models. How to load the VGG model in Keras and summarize its structure. How to use the loaded VGG model to classifying objects in ad hoc photographs. 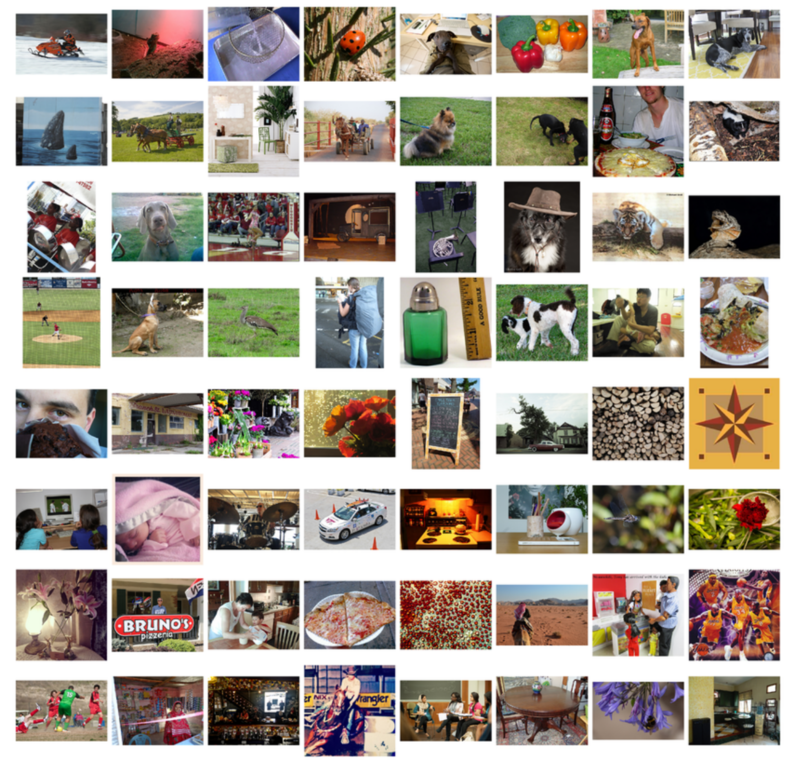 ImageNet is a research project to develop a large database of images with annotations, e.g. images and their descriptions. The images and their annotations have been the basis for an image classification challenge called the ImageNet Large Scale Visual Recognition Challenge or ILSVRC since 2010. The result is that research organizations battle it out on pre-defined datasets to see who has the best model for classifying the objects in images. The ImageNet Large Scale Visual Recognition Challenge is a benchmark in object category classification and detection on hundreds of object categories and millions of images. The challenge has been run annually from 2010 to present, attracting participation from more than fifty institutions. For the classification task, images must be classified into one of 1,000 different categories. For the last few years very deep convolutional neural network models have been used to win these challenges and results on the tasks have exceeded human performance. Taken From “ImageNet Large Scale Visual Recognition Challenge”, 2015. Researchers from the Oxford Visual Geometry Group, or VGG for short, participate in the ILSVRC challenge. In 2014, convolutional neural network models (CNN) developed by the VGG won the image classification tasks. Very Deep Convolutional Networks for Large-Scale Image Recognition, 2014. They also made their models and learned weights available online. This allowed other researchers and developers to use a state-of-the-art image classification model in their own work and programs. This helped to fuel a rash of transfer learning work where pre-trained models are used with minor modification on wholly new predictive modeling tasks, harnessing the state-of-the-art feature extraction capabilities of proven models. … we come up with significantly more accurate ConvNet architectures, which not only achieve the state-of-the-art accuracy on ILSVRC classification and localisation tasks, but are also applicable to other image recognition datasets, where they achieve excellent performance even when used as a part of a relatively simple pipelines (e.g. deep features classified by a linear SVM without fine-tuning). We have released our two best-performing models to facilitate further research. — Very Deep Convolutional Networks for Large-Scale Image Recognition, 2014. VGG released two different CNN models, specifically a 16-layer model and a 19-layer model. Refer to the paper for the full details of these models. The VGG models are not longer state-of-the-art by only a few percentage points. Nevertheless, they are very powerful models and useful both as image classifiers and as the basis for new models that use image inputs. In the next section, we will see how we can use the VGG model directly in Keras. The VGG model can be loaded and used in the Keras deep learning library. Keras provides an Applications interface for loading and using pre-trained models. Using this interface, you can create a VGG model using the pre-trained weights provided by the Oxford group and use it as a starting point in your own model, or use it as a model directly for classifying images. In this tutorial, we will focus on the use case of classifying new images using the VGG model. Keras provides both the 16-layer and 19-layer version via the VGG16 and VGG19 classes. Let’s focus on the VGG16 model. The first time you run this example, Keras will download the weight files from the Internet and store them in the ~/.keras/models directory. Note that the weights are about 528 megabytes, so the download may take a few minutes depending on the speed of your Internet connection. The weights are only downloaded once. The next time you run the example, the weights are loaded locally and the model should be ready to use in seconds. We can use the standard Keras tools for inspecting the model structure. You can see that the model is huge. You can also see that, by default, the model expects images as input with the size 224 x 224 pixels with 3 channels (e.g. color). Again, because the model is large, the plot is a little too large and perhaps unreadable. Nevertheless, it is provided below. The VGG() class takes a few arguments that may only interest you if you are looking to use the model in your own project, e.g. for transfer learning. include_top (True): Whether or not to include the output layers for the model. You don’t need these if you are fitting the model on your own problem. weights (‘imagenet‘): What weights to load. You can specify None to not load pre-trained weights if you are interested in training the model yourself from scratch. input_tensor (None): A new input layer if you intend to fit the model on new data of a different size. input_shape (None): The size of images that the model is expected to take if you change the input layer. pooling (None): The type of pooling to use when you are training a new set of output layers. classes (1000): The number of classes (e.g. size of output vector) for the model. Next, let’s look at using the loaded VGG model to classify ad hoc photographs. Let’s develop a simple image classification script. First, we need an image we can classify. You can download a random photograph of a coffee mug from Flickr here. Photo by jfanaian, some rights reserved. Download the image and save it to your current working directory with the filename ‘mug.jpg‘. Load the weights for the VGG-16 model, as we did in the previous section. Next, we can load the image as pixel data and prepare it to be presented to the network. Keras provides some tools to help with this step. First, we can use the load_img() function to load the image and resize it to the required size of 224×224 pixels. Next, we can convert the pixels to a NumPy array so that we can work with it in Keras. We can use the img_to_array() function for this. The network expects one or more images as input; that means the input array will need to be 4-dimensional: samples, rows, columns, and channels. We only have one sample (one image). We can reshape the array by calling reshape() and adding the extra dimension. The only preprocessing we do is subtracting the mean RGB value, computed on the training set, from each pixel. Keras provides a function called preprocess_input() to prepare new input for the network. We are now ready to make a prediction for our loaded and prepared image. We can call the predict() function on the model in order to get a prediction of the probability of the image belonging to each of the 1000 known object types. Nearly there, now we need to interpret the probabilities. Keras provides a function to interpret the probabilities called decode_predictions(). It can return a list of classes and their probabilities in case you would like to present the top 3 objects that may be in the photo. We will just report the first most likely object. Running the example, we can see that the image is correctly classified as a “coffee mug” with a 75% likelihood. Create a Function. Update the example and add a function that given an image filename and the loaded model will return the classification result. Command Line Tool. Update the example so that given an image filename on the command line, the program will report the classification for the image. Report Multiple Classes. Update the example to report the top 5 most likely classes for a given image and their probabilities. Very Deep Convolutional Networks for Large-Scale Image Recognition, 2015. Very Deep Convolutional Networks for Large-Scale Visual Recognition, at Oxford. Building powerful image classification models using very little data, 2016. In this tutorial, you discovered the VGG convolutional neural network models for image classification. hi, i’m a PHD researcher, i want to applay this method on a desertic zone to detect dunes, is it possible? Perhaps. Use the model as a starting point (transfer learning) and re-train the classification backend of the model for your specific problem. From this point we continue our journey toward Computer vision? If it is possible, tell us please in future works about Region of interest technique. It is difficult to understand for beginner, but very useful in practice. For the next few months the focus will be NLP with posts related to my new book on the topic. We are still making impressive progress and achieving amazing results we could not dream of 10 years ago. Thank you Jason for the wonderful article can you please suggest which pretrained model can be used for for recognizing individual alphabets and digits. Good question, I am not sure off the cuff, perhaps try a google search. I expect there are such models available. If you discover some, please let me know. Someday can you take time to write about training VGG for objects not belonging to original 1000 classes (Imagenet dataset) but completely new 2000 classes. I am specially interested in training times for starting from scratch and training times for fine-tuning. Do the no_top weights reduce training time much? Great suggestion, thanks Sam. I hope to. Yes, the layers just before the output layer do contain valuable info! I have tested this on some image captioning examples. Thank you Jason for the wonderful article. We really hope you a post on Object Detection stuff like SSD (Single Shot Multibox Detector ) for standard data and custome data or semantic segmentation stuff like FCN or U-Net that will be very cool. i’m still confused , can i change the image dataset and train it with VGG ? Sorry, I don’t follow, perhaps you can restate your question? I am now learning Deep learning and your Website is a treasure trove for that. I just finished „How to use pre-trained VGG model to Classify objects in Photographs which was very useful. Keras + VGG16 are really super helpful at classifying Images. Your write-up makes it easy to learn. A world of thanks. I would like to know what tool I can use to perform Medical Image Analysis. Any specific library that would help me to Analyse Medical Images? VGG could not. Sorry, I don’t have experience in that domain. I cannot give you specific advice. Can you help me with where to save the “mug.jpg”. I’ve tried to save it in some directory but it always returns the following error. In the same directory as the code file, and run the code from the command line to avoid any issues from IDEs and notebooks. Thanks for the sharing. I want to know if VGG16 model can identify different objects in an image and then extract features of each object, or is there any way to do this through Keras library? It could be re-purposed on an application like this. Is there a similar package in R language? There may be, I’m not across it sorry. Is there a way to use a format different than 224×224 ? Where basically we need to add another level on top of the model and use a custom classifier. I guess that since the model was trained for 224×224 image it would not work as it is with different size, am I right ? Yes, you would need to train a new front end. Simple yet works well with the 20 test image files I provided to this program! Great job! Thank you ! Grateful if you could also point out how to expand the VGG16 into actual Keras or Tensorflow code so learner can modify the code on their own for training, inference, or transfer learning purpose. What all classes of images are feed into the VGG model which is predicting objects? Good question, there may be a way. I have a similar question like Namrata, if i want to train my VGG model with some new classes, how can i do that? The link you have given shows the list of classes being trained in the VGG model, my question was, can we write our own VGG model and provide the classes? I do not have a link for this. Perhaps you can look at the Keras code and adapt an existing example in the API for your use case? I am new on deep learning. I have a question that can the model provide exact position of the object so we can put a bunding box on it? And can vgg16 model detect several objects in one image and give thier positions? It can, it is called object localization and requires more than just a VGG type model. Sorry, I don’t have a worked example. I am dealing with the same question than you, did you make progresses on your research? Thank you for all your kind demonstration. However, I wonder how to use pre-trained VGG net to classify my grayscale images, because number of channels of images for VGG net is 3, not 1. Can I change the number of channels of images for VGG net? for example, 2? Perhaps cut off the input layers for the model and train new input layers that expect 1 channel. Awsome , Superb Work! Appreciate that. Thanks sir for this tutorial, please can i use the vgg16 to classify some images belonging to a specific domain and does not exists in the ImageNet database. I am a regular reader of your blog. I have read your work, like it. Furthur, in this example of your’s I could see you fed the picture to the network. I am also a fan of Dr.Adrian’s work, I was reading about transfer learning, where we removed the FC layers at the end and passed in a logistic regression there to classify a dataset (say Caltech 101) where we could get 98% accuracy. The vgg16 is trained on Imagenet but transfer learning allows us to use it on Caltech 101. Thank you guys are teaching incredible things to us mortals. One request can you please show a similar example of transfer learning using pre trained word embedding like GloVe or wordnet to detect sentiment in a movie review. I give examples of reusing word embeddings, search the blog. or Check my NLP book. Yes, I know you have included them in your book on NLP, using a CNN and word embedding to classify the sentiments, I have implemented it too. Anyways thanks for replying. The last layer in the network is a softmax layer and we have 1000 neurons in the fully connected layer before this layer right? so we can use this for classification of 1000 objects. What my doubt is that, is this 1000 fixed for all vgg networks even though we are trying to classify only a few say 100( some number less than 1000) or this number (number of neurons in the last fully connected layer) depends on the number of classifications we are trying to address. The prediction is a softmax over 1000 neurons. It is fixed at 1000, but you can re-fit the network on a different dataset with more/less classes if you wish. Ok, so as I said if we want to predict 100 classes, we still will have 1000 neurons but only 100 of them will be used for classification. Is that what you meant? If so what happens to the other 900 neurons, can softmax layer work that way, using only some neurons out of all the available ones? If you have 100 classes, you have 100 nodes in the output layer, not 1000. To me the main issue is your capability to communicate the WHOLE SOLUTIONS covering everything in between of the problem starting, with math or Deep Learning intuitions concepts, following by programming language, operative ideas of libraries modules used, references list , etc. And finally but not least providing an operative code to start experimenting by ourselves all the concepts introduced by you. Many thanks for your really great mastery work , from JG !! You’re welcome, I’m glad the material helps. Keep the whole VGG model fixed and only train some new output weights to interest the vgg output. Hi, can you help me localization of an object suppose number plate in an image. I know YOLO and Faster-RCNN can be used for this. But i am facing problem in implementing Region proposals using Anchor boxes. could you please suggest something? I hope to cover YOLO in the future. One more time Mr. Jason Brownlee thank you very much for your VGG16 Keras apps introduction, I think your code and explanation it is perfect (at least for my level) before diving into deeper waters, such as building your own models on Keras. I like the way you structure your pieces of codes before running the full system. I appreciate your “free” job for all of us . You do a lot of appreciable things for our Machine Learning community!!. I wish you a long running on these matters ! Your blog is the best for machine learning! I have a question regarding the performance of VGG. For coffee mug, it is exactly detecting the object. Knowing that VGG is performing very well, is there any way to improve the model results (maybe some fine tuning?) without retraining the model? Maybe try a model other than the VGG? I tried ResNet as well, but results are still far from reality. I guess the test images will have to be much like the images used to train the model, e.g. imagenet. I noticed some places using vgg16 but they input images of different sizes and aspect ratio such as 192×99 or 69×81 and more other and i can’t understand how they get the output, can vgg16 take image with size other than 224×224 without resize it and what is the result will be? Thank you. Perhaps change the input shape of the network to be much larger and zero-pad smaller images? I tried to change the type of vgg16 to sequential, but, after changing it removes the input layer. I don’t know why. how can I fix it? Why change it to Sequential? I like it very much and am wondering any following ups for the fine-tune VGG? Small and decaying learning rate and early stopping would be a good start. Thank you very much for this great work. I wonder is it possible to use this model (VGG16) in order to be able to classify daily activities. I’ve already downloaded the vgg19.npy model. Is it possible to load from this directly instead of downloading again? Perhaps, I don’t have an example of loading the model manually, sorry. Thank you so much for this valuable post. Really helpful. for example, the prediction vector of the mug will produce a vector with 1000* 1 which contains the probabilities values for each class. I want to retrieve the position/index in which the top 3 probabilities are located. Good question, you can code this yourself, or perhaps there is a numpy function. Maybe argpartition can do it? Hi, Guys Thanks for this awesome tutorial. Do You guys have any tutorial on How To train with our own images..(Custom Classifier) with whatever architecture you are following now. So Please let me know. Thanks for the help. Sure, you can load your images and perhaps use transfer learning with a VGG model as a starting point. “ValueError: “input_length” is 3661, but received input has shape (None, 900, 165)”. You can add a new hidden layer after the new input layer and only train the weights of this new layer. Or resize inputs to meet the old model. Dear Jason, I want to know that the pre-trained models (used for transfer learning) also contain the testing phase or it only contain the training phase? In other words is the pretrained model contain both the training and testing phase or only the training phase? They are used like any other model, e.g. fine tuning/training then testing/evaluation. I can’t understand your point. Kindly can you explain it more. Thanx for your response. Hi Anam, here’s a brief explanation to your question. The network (VGG16) had been trained and tested before being deployed as a model, so, there’s no need talking about training and test sets again. When you feed in an image to be classified, all you’re doing is using a pre-trained model to do your classification. I hope this helps, otherwise, let me know if you need further clarification. @Jason Brownlee is doing a great job!! How to train model on my own using my customized training dataset? I suppose it is the same principle if I want to use vgg face for facial recognition, rightr? Perhaps, but face recognition is a very different type of problem than simple classification. I am currently working on an app using Keras, ImageNet, and VGG16. I was wondering if it possible to check if an image falls into one of the classes like Plant, Animal, Food, etc…? Instead of it just checking to see what type of plant or food it is? Yes, perhaps the output or classifier part of the model needs to be re-trained on higher order class labels? You cannot use decode prediction with your own classes. You will have to map the integers to your class labels yourself. Yes, every image requires a label. I hope to provide an tutorial of what you’re asking about soon. plz i want to know that.u applied this algo on one image -‘mug.jpg’ but if I have so many images like image1,image2,image3 then how to code? Perhaps you can enumerate all images in a directory and make a prediction for each? Thanks for the tutorial. Is it possible to use VGG pretrained network for time series regression? How should the input and output layers change? Yes, but it would not make sense to use a model for image classification for time series prediction.